Ogi is an indigenous edible fermented cereal slurry but the steep liquor is usually wasted or administered as therapeutic to suppress certain illnesses. The combination of lemon juice and ogi steep liquor (OSL) is known to possess bioactive metabolites. 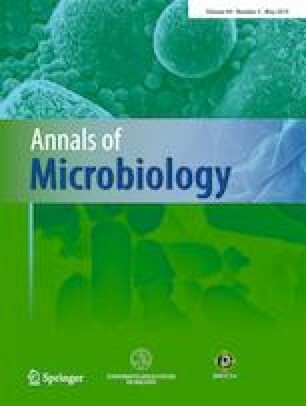 This study evaluated potential probiotic lactic acid bacteria (LAB) in different OSL (Zea mays, Sorghum bicolor, and Pennisetum glaucum L.) and lemon juice-ogi steep liquor (LJOSL) based on low pH, bile and lysozyme tolerances, hydrophobicity and auto-aggregation, antibiotic, cholesterol removal, exopolysaccharide production, β-galactosidase, and antimicrobial and hemolytic activities using standard methods. Presumptive LAB were sequenced and assayed for radical scavenging using 2,2-diphenyl-1-picrylhydrazyl (DPPH) and lipid peroxidation inhibitory (LPI) tests. Presumptive LAB counts were higher in maize OSL (0 h:5.09 log CFU/ml) and combined cereal OSL (24–48 h:7.65 and 7.72 log CFU/ml) but decreased in all steep liquors at 72 h, except in millet OSL (7.72 log CFU/ml). A total of 120 LAB isolates were randomly selected. Based on pH and bile tolerances, 14 isolates were comparable to reference strains. All these isolates demonstrated probiotics properties except for three that did not show γ-hemolysis. Sequenced LAB isolates were identified as Lactobacillus plantarum, Lactobacillus fermentum, Pediococcus pentosaceus, and Weissella cibara. DPPH activities of LAB gradually increased during fermentation with the highest activity of DPPH (58.77%) and LPI (57.94%) activity in L. plantarum. Strong correlations were found between DPPH and LPI in all the selected isolates. The antioxidant property of probiotic LAB in OSL and LJOSL could contribute to its therapeutic nature. The online version of this article ( https://doi.org/10.1007/s13213-019-01469-4) contains supplementary material, which is available to authorized users. The authors are grateful to Deji, Ope, Stanley, Reney, and Melvin in the Food and Enzyme laboratories, Department of Biotechnology and Food Technology, the Durban University of Technology for their technical assistance. This work is based on the research supported wholly by the National Research Foundation of South Africa (grant number: 110792). N/A. This research did not involve human participants and/or animals. N/A. This research did not involve human participants.